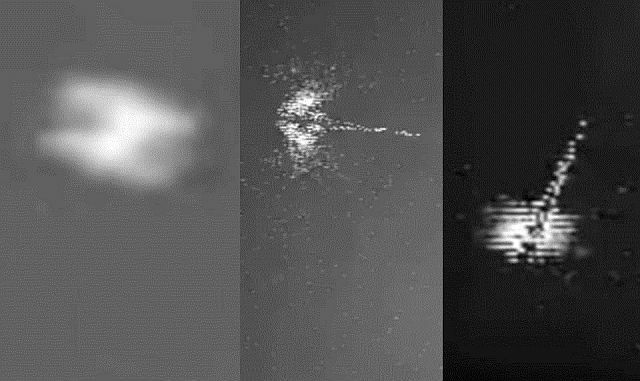 There recently seems to have been a very active night of unknown objects that descended upon the great state of Florida during peak hours and no one noticed? These objects might have been meteors or space debris but there is something strange going on with these objects. At first, look at the sharp ends of the objects in the still images. That is not natural. Then, especially the first object is following an obvious path, you can plainly see it in the video at 1.42 and in all the replays. The Unidentified Flying Object is either guided by that path, or fueled by it or something, but the object definitely is on a predetermined path. 3 different events just hours apart from each other and not one single report of any of these events were found, even NASA keeping very quiet! Gonna be lots more of these. Us researchers really appreciate your findings!